Points 2, 3 and 4 seem designed to scare people – people who are using open-spaces and parkland for their leisure, it should be remembered. 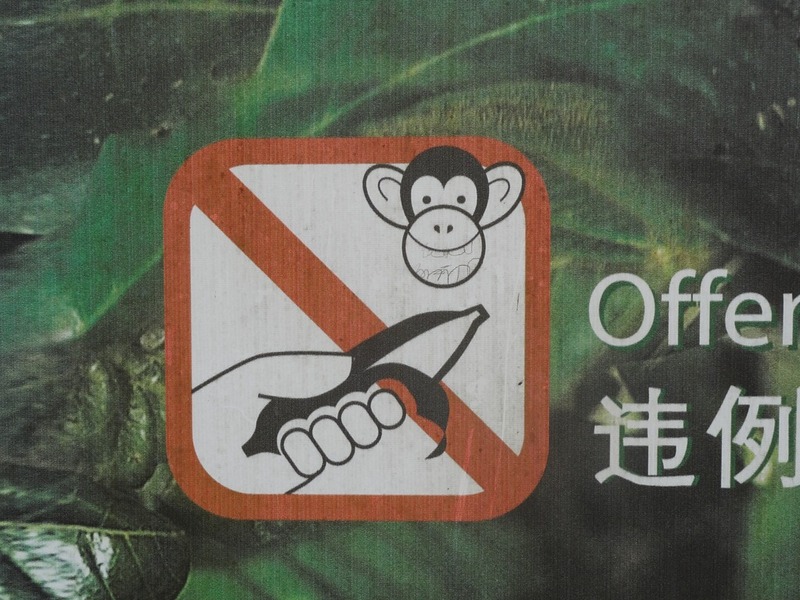 There is nothing in those points that I would disagree with but the emphasis does seem to be tilted in such a way that the monkeys are made to sound villainous. 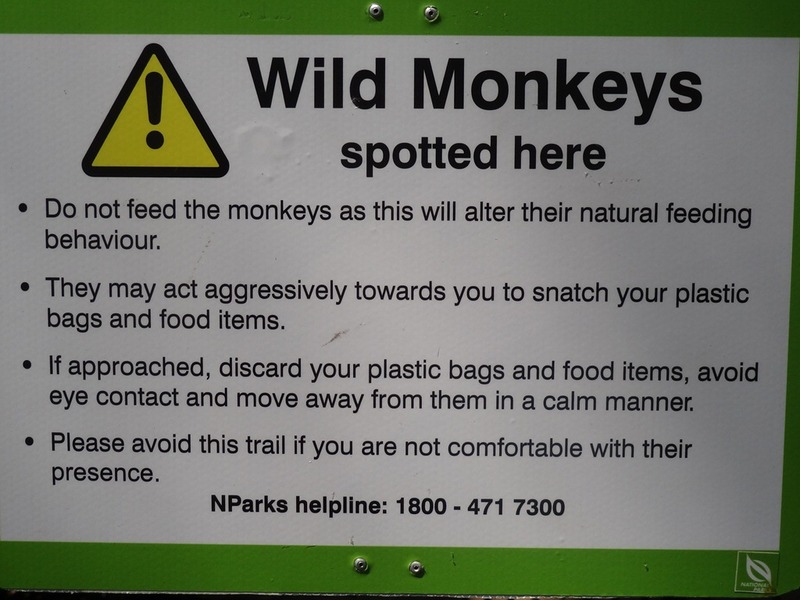 Elsewhere we found this series of notices, which again are giving good advice but doing so in terms that are more sympathetic to the monkeys. 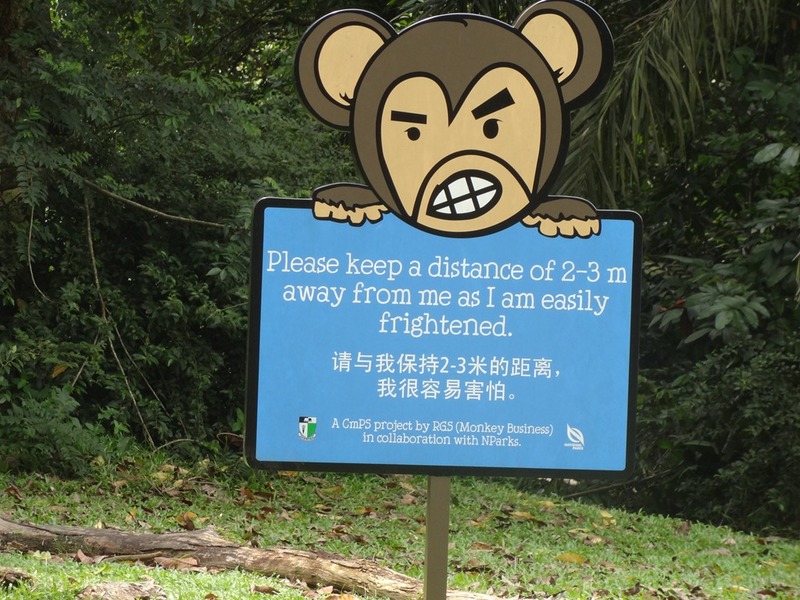 The blue sign, in particular, seems to be shifting the ‘danger’ from the monkeys to the humans. 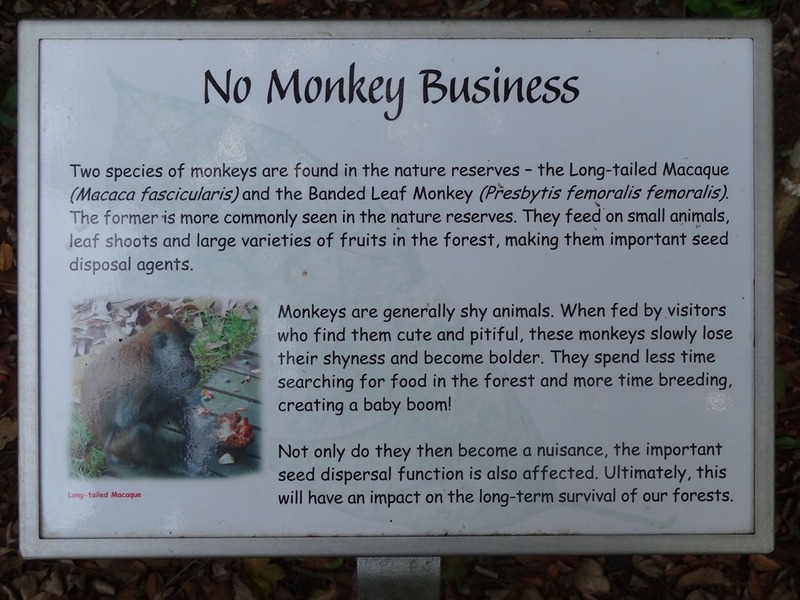 Nevertheless, the words ‘not only do they then become a nuisance’ sum up the way the long-tailed macaques are regarded. And not without reason, it must be said. They raid dust-bins and invade gardens and they enter people’s homes if they can (if a window is left open, for example). But they do this not only because they have lost their shyness and developed a taste for human food. Their own territory has been invaded by the building of houses and apartment blocks right next to the forests that are part of their home range. And long-tailed macaques are curious, inquisitive, playful, and they love living alongside humans. 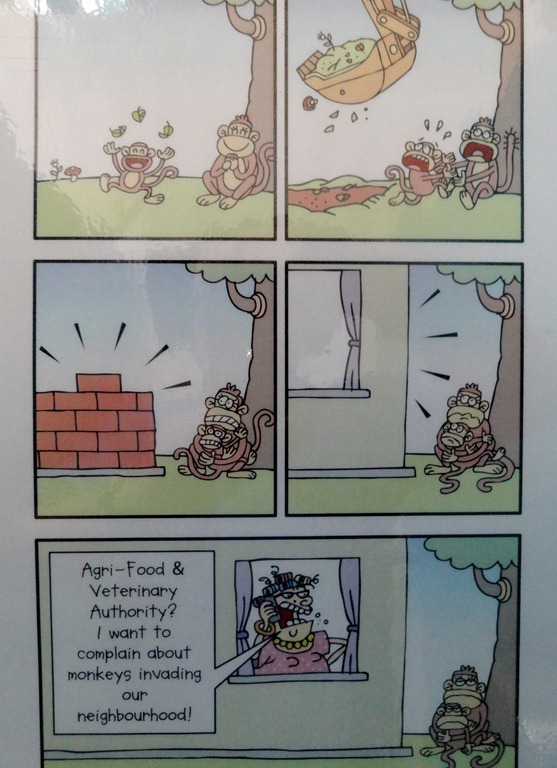 Here is a cartoon which I found fly-posted in several places. Click on it to enlarge it for a clearer view of its message. 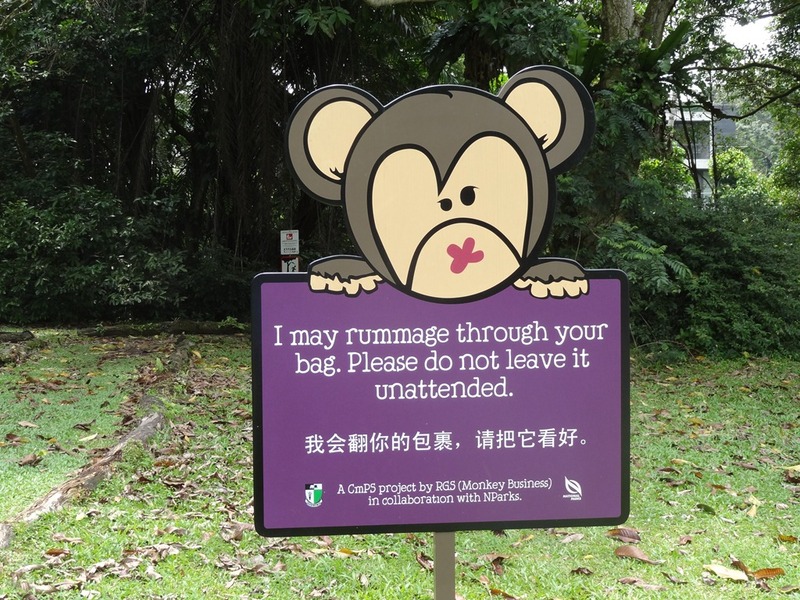 More evidence that some people in Singapore do still find the monkeys ‘cute and pitiful’ is that despite the notices people are still being prosecuted and fined. 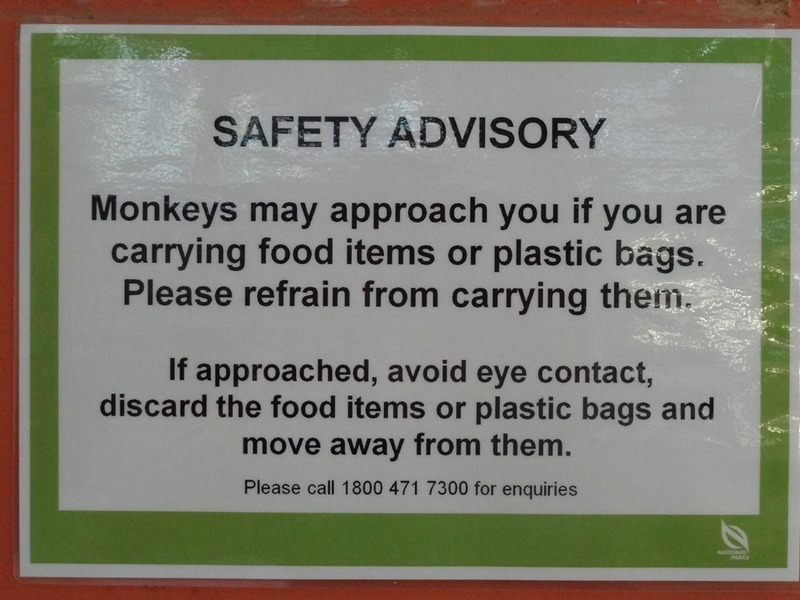 Now I am in no way advocating that people feed the long-tailed macaques in Singapore. There is plenty of forest for them to forage in and find food which it is natural for them to eat and in quantities that will not result in a baby-boom and the culling that that would almost certainly follow. But at the moment, the situation here in Phana is a very different one in most respects. 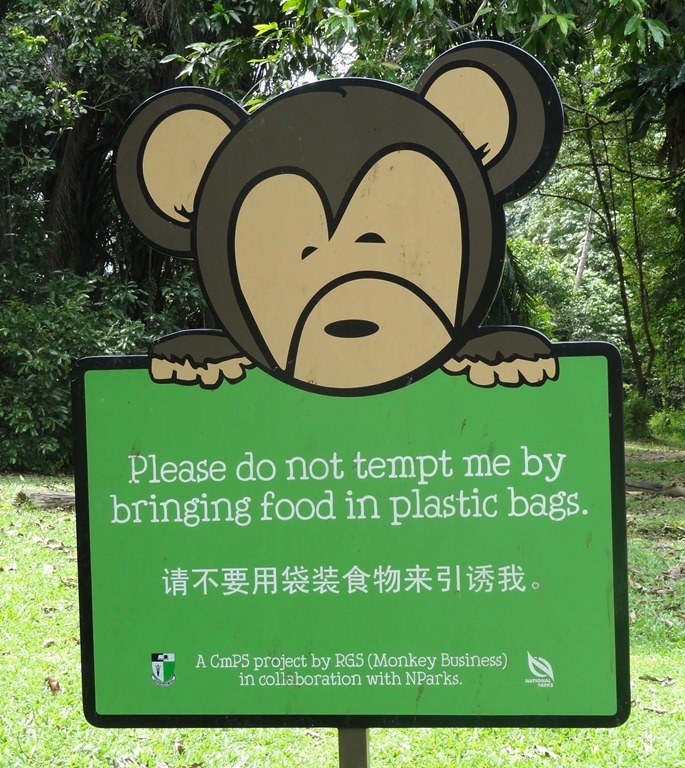 Any attempt to stop people feeding our monkeys would be complete failure (there are signs next to the forest threatening a 2,000 Baht fine for littering, but it makes no difference at all and certainly nobody has ever been asked to pay that fine). 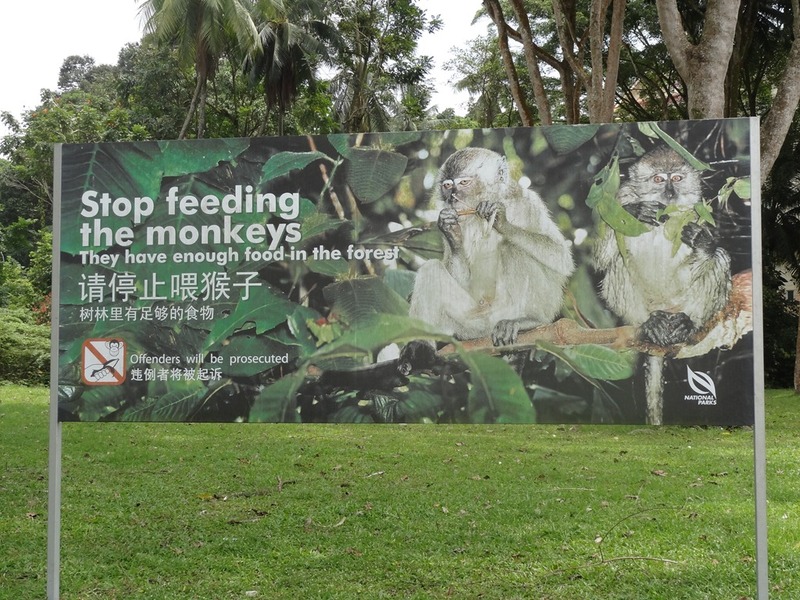 And the truth is that we need to continue feeding the monkeys at the forest because they are now so habituated to human provisioning that if we stopped they would surely range into the village, into the town, and invade restaurants and homes in search of the food they have come to depend on. They still forage in the forest on days when no food is provided, or not enough to go around. They have not become aggressive and have not taken to attacking visitors they suspect of having food with them. But they HAVE produced a baby-boom, and this is a problem which I fear will have to be addressed before long. I am sure that given the reverence that local people have for our long-tailed macaques as the children of the village’s guardian spirit, the problem of over-population will be approached in the most humane way possible. 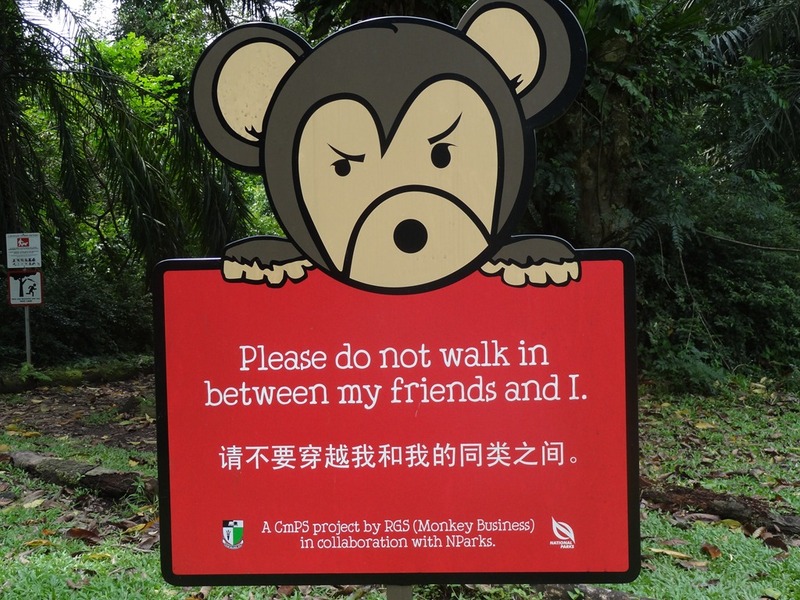 This entry was posted in guardian spirit, Long-tailed Macaques, Macaques, monkey forest, Monkeys and tagged Long-tailed Macaques, Macaques, Monkeys, Thai guardian spirits, Thai monkeys. Bookmark the permalink.